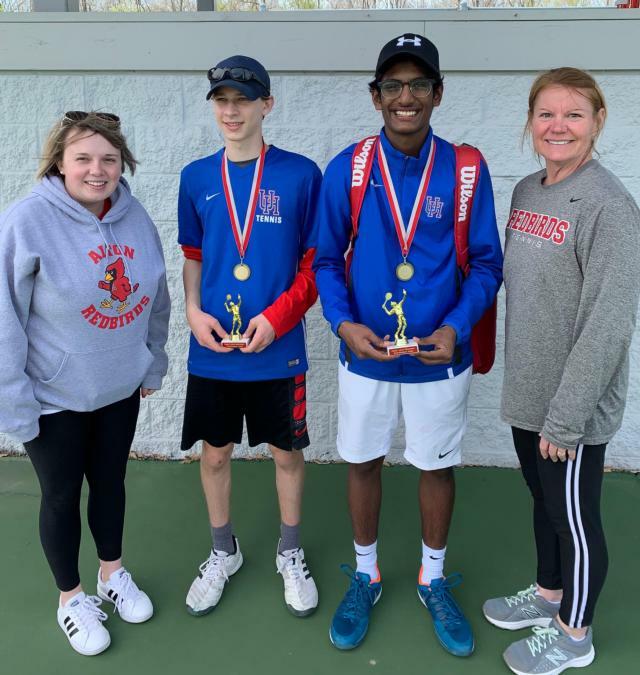 ALTON - The Alton inaugural Robert Logan Doubles tournament held on Saturday at Alton High and Lewis and Clark Community displayed strong tennis spirits as the Redbirds and seven other teams remembered the legacy of Logan, the late Alton tennis coach who died of a rare form of liver cancer at the age of 30 in 2016. Three sportsmanship awards were given at the conclusion of the tournament and were given by Logan’s mother, Theresa, and wife, Kayla. 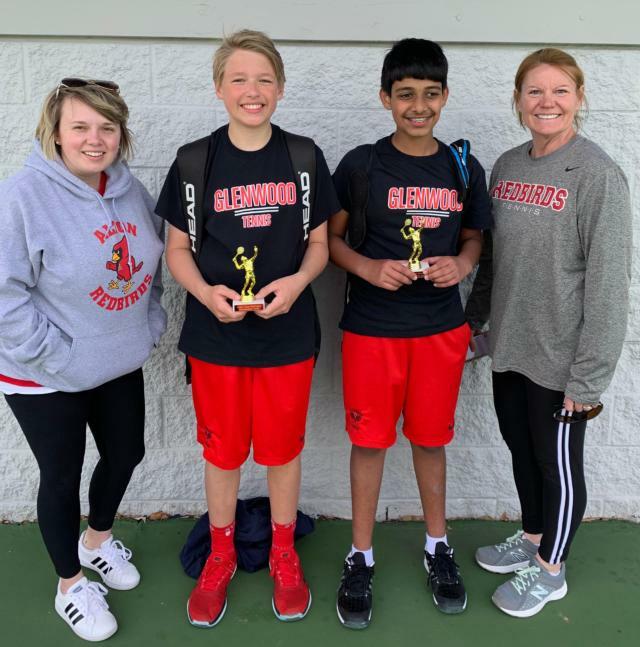 The awards went to Jacob Schepers and Jacob Cowley of Helias, Doninni and Jagroop and Nikhil Gupta and Roger Uhe of Glenwood. Robert Logan is remembered today for his kind spirit and was the ultimate sportsman, so the awards given at the tournament were fitting to organizers. “It’s an emotional day for Robert’s family, especially Theresa and Kayla,” said Redbirds girls tennis coach Jesse Macias, who worked with Logan for many years. Macias said his best memories from tennis all include Robert and there are a lot of other people who feel the same way. “We all loved him and will never forget how much he has done for the community, not just with tennis but also as a friend and role model for so many,” he said. Alton Boys Tennis Coach Lowe also enjoyed having Logan’s family at the tournament.